Russia’s most famous prisoner, former oil tycoon Mikhail Khodorkovsky, who's serving an eight-year term for tax evasion and fraud, faces a new trial in Moscow. Preliminary hearings were held behind closed doors on Tuesday and will continue on Wednesday. This time the claims against Khodorkovsky and his businnes partner Platon Lebedev have been made by two ex-Yukos subsidiaries, Tomskneft and Samaraneftegaz, which each claim that the accused stole huge quantities of oil by means of fraud. Tomskneft is claiming 93 billion roubles, while Samaraneftegaz is after 77 billion roubles. If found guilty, Khodorkovsky and Lebedev will have to pay 170 billion roubles (about $US 4.7 billion). Khodorkovsky's lawyers say the latest charges of embezzlement are nonsense, and are demanding that the prosecutor – who also conducted the previous prosecution – be replaced. They also want the hearing to be moved to another court. According to the defence, the Khamovnichesky Court is not eligible to consider the cases of Khodorkovsky and Lebedev due to territorial jurisdiction. Lebedev’s lawyer, Konstantin Rivkin, said the defence “has some idea of where the case should be heard”, but he refused to reveal them before hearing the prosecutors opinion on the proposal. For their part, the prosecutors are warning of convincing new evidence. Khodorkovsky has recently been transferred to Moscow from a Siberian prison, where since 2005 he has been serving an eight-year sentence on tax evasion charges, alongside Lebedev. More than 150 journalists from all over the world have arrived in Moscow to cover the trial. 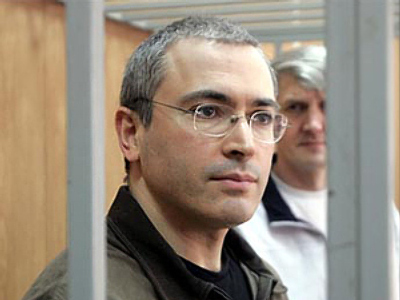 Khodorkovsky was arrested in October 2003. Khodorkovsky and Lebedev were charged with embezzling nearly $US 27 billion and laundering more than $US 14 billion. According to the General Prosecutor’s Office, from 1998 to 2003 Khodorkovsky and Lebedev embezzled oil from Yukos subsidiaries, including Yuganskneftegaz, Samaraneftegaz and Tomskneft, worth a total sum of more than 890 billion roubles ($US 24.7 billion). Later they allegedly laundered around 500 billion roubles ($US 13.8 billion) by selling oil through subsidiary firms (figures in US dollars are given according to exchange rates on February 25, 2009). Moreover, the former Yukos co-owners are accused of embezzlement and the laundering of the Eastern Oil Company’s subsidiaries’ shares for a total sum of around 3.6 billion roubles ($US 100 million) during the period 1998-2000. They could be sentenced to up to 22 years in prison. Mikhail Khodorkovsky was once Russia’s richest man. His success was born in the turbulent nineties. After supporting Boris Yeltsin’s election campaign he was in the forefront when the major state assets were privatised. Khodorkosky became one of the favoured few who took over assets worth billions of dollars for a fraction of their real price. Yet his first business was a private cafe launched in 1986. A year later he opened the Centre for Scientific and Technical Creativity of the Youth. By 1988, he had built an import-export business with a turnover of 80 million rubles a year (about $US 10 million). In 1989 Khodorkovsky obtained a banking licence and launched Russia’s first privately owned bank Menatep. The Yukos oil company was created in 1993 under a resolution by the Russian government. The main shareholders owned the company via the offshore holding company Menatep. In 2003 Khodorkovsky announced a merger with Sibneft, at that time another oil giant. The deal could have made the company the second largest oil and gas reserves entity in the world. However, the merger was called off by Sibneft after the arrest of Mikhail Khodorkovsky. “Yukos and Khodorkovsky wanted to sell all or a large part of the company’s assets to foreign investors, which meant selling a strategic resource of Russia. At that point it was made clear: guys stop squandering the country’s resources. 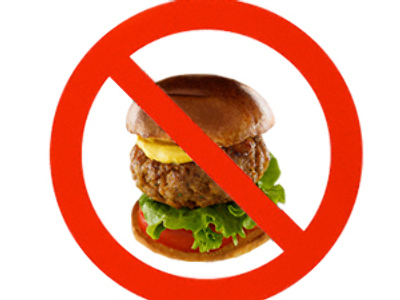 People who understood stayed,” explains entrepreneur Vladimir Semago. Communist Party and Union of Right Forces Party. Despite his political activity, he was never a member of any party at the State Duma at that time. Many believed Khodorkovsky`s actions were more of a provocation. He financed different parties, most of which were in competition with each other. At that time he was very much a public figure. His efforts include supporting Internet training centres for teachers as well as launching and financing cultural exchanges and summer camps for children. Many criticise these moves as political posturing before the State Duma elections. Khodorkovsky was also believed to be very much interested in the presidential elections. He denied he planned to participate in the presidential road show, saying this was of no interest to him. 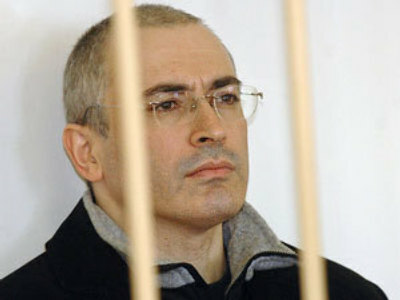 In October 2003, Mikhail Khodorkovsky was arrested at Novosibirsk airport by the Russian prosecutor general's office on charges of fraud. Evgeny Rybin, a prosecution witness, whose company was involved in a bitter law suit with Yukos and who managed to escape several assassination attempts allegedly organised by the Yukos security service, says it was impossible to ‘get’ Mikhail Khodorkovsky at the time because of his position. “I prepared all the necessary documents and evidence and sent them to the security services. They had one answer: we cannot do anything about him, too many connections, we need a political decision,” Rybin says. News of the arrest had a major effect on the price of Yukos shares. Following the statement the stock market was closed for the first time to assure stable trading as share prices started to collapse. Shortly afterwards the Russian government froze shares in Yukos. Prosecutors claim the businessman and his partners cost the state more then one billion dollars in lost revenues. 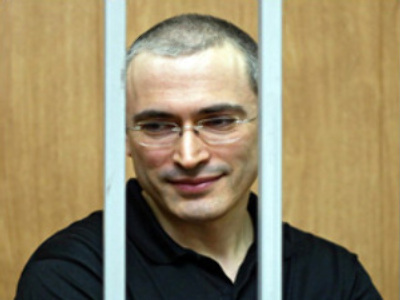 In 2005, Khodorkovsky was found guilty of fraud and sentenced to nine years in prison. The sentence was later reduced to eight years. In October 2005 he was moved to prison camp number 13 in the city of Krasnokamensk in the heart of Siberia. When Khodorkovsky was charged with fraud and tax evasion, he was all but canonised in the West. 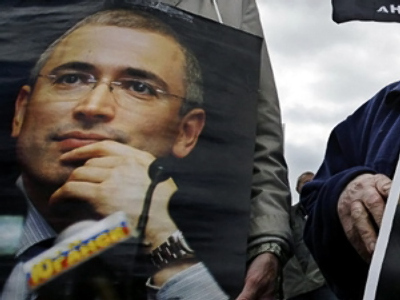 The media unleashed an offensive against the Kremlin claiming Khodorkovsky was a victim of his political ambitions. Khodorkovsky surrounded himself with some dubious characters like Leonid Nevzlin and Aleksey Pichugin. They were both sentenced to life for attempted murder. Nevzlin is currently in Israel. In 2007, new charges of embezzlement and money laundering were brought against both Khodorkovsky and Lebedev. In 2008, Khodorkovsky started a hunger strike to help his associate Vasily Aleksanyan, who was gravely ill, to get medical help and be transported to hospital. It is predicted that he might be released by the middle of 2011, although the fresh charges brought against Khodorkovsky could lead to a new sentence of up to 27 years.